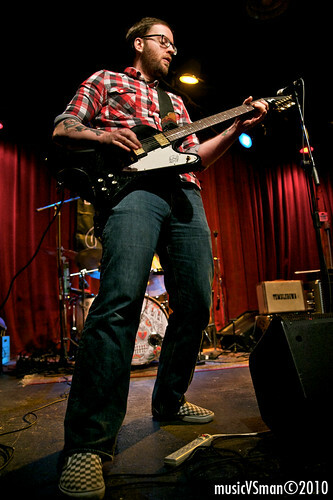 Last month, when browsing the upcoming concert calendar for Off Broadway, I momentarily stopped to take a closer look at the picture for the Tumbledown show and the familiar looking guitarist featured. 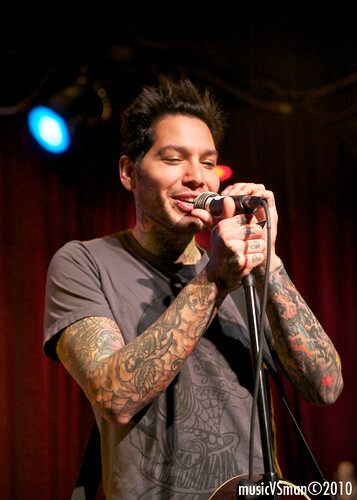 A quick Google search confirmed what I suspected, that it was indeed Mike Herrera, bassist of the pop-punk band MxPx, a band I’ve enjoyed since high school. 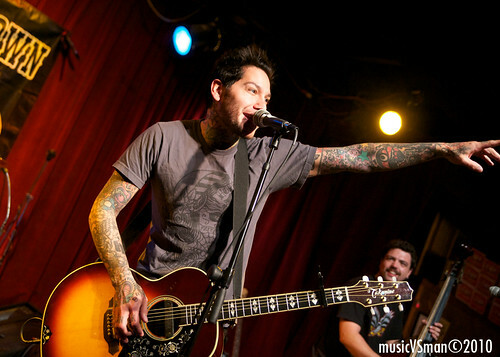 Though there’s no doubt that Herrera’s vocals make you think MxPx, the music and tone of Tumbledown is remarkably different, with a direction influenced by Hank Williams and Johnny Cash. 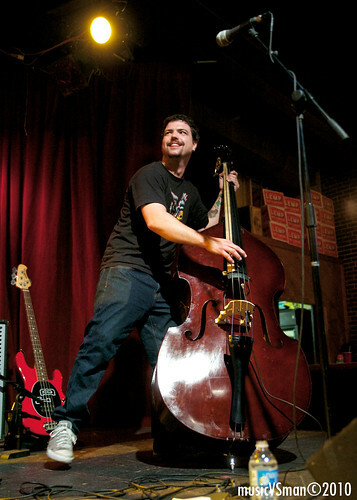 While MxPx was the music of skaters and punk rockers, Tumbledown finds itself more at home with back alley brawls followed up by a round of drinks at the bar. 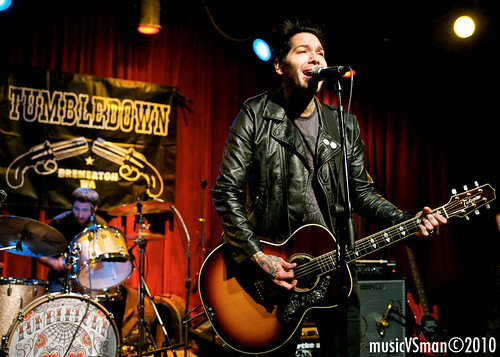 -I presume a good portion of Tumbledown’s fanbase is carried over from MxPx, but I couldn’t help but think that tons of the local STL music folk that love peppier alt country (and not MxPx pop-punk) might want to check them out. -Really neat to see Herrera spending a lot of time that night at the merch table chatting with and thanking fans that came out. He even hung around the crowd most of the night to check out both of the openers. Class act. -I wasn’t familiar with Tumbledown’s material, so I picked up a vinyl copy of their newest album Empty Bottle (which Herrera nicely obliged to sign). I’ve spun the record a few times since the show and really enjoy the punk sensibility Herrera meshes with the traditional alt-country sound.